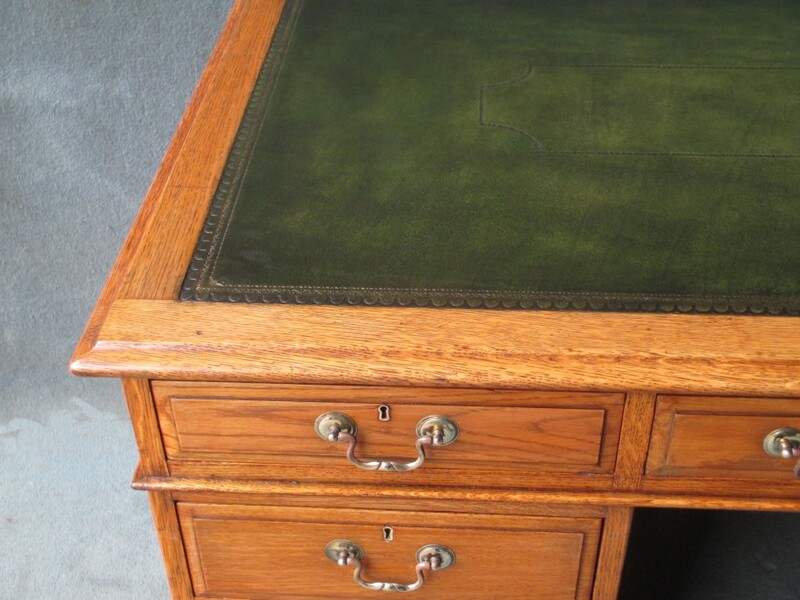 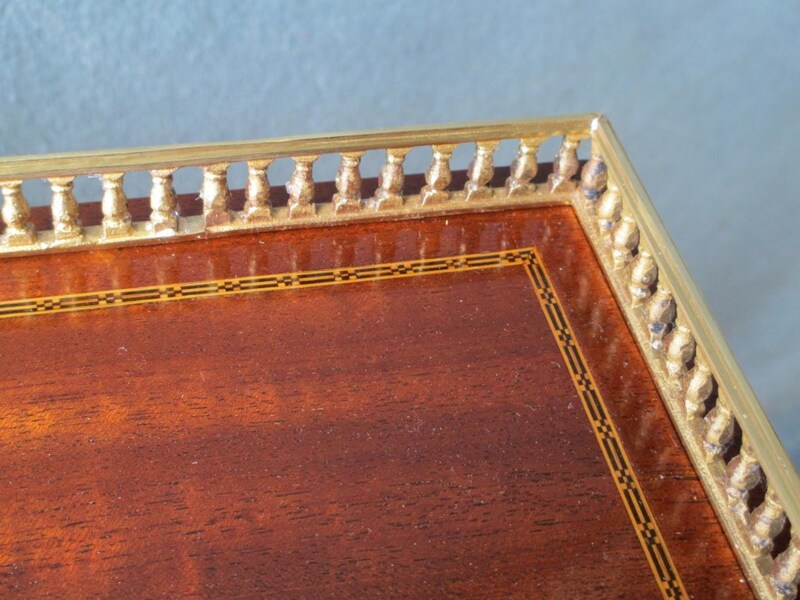 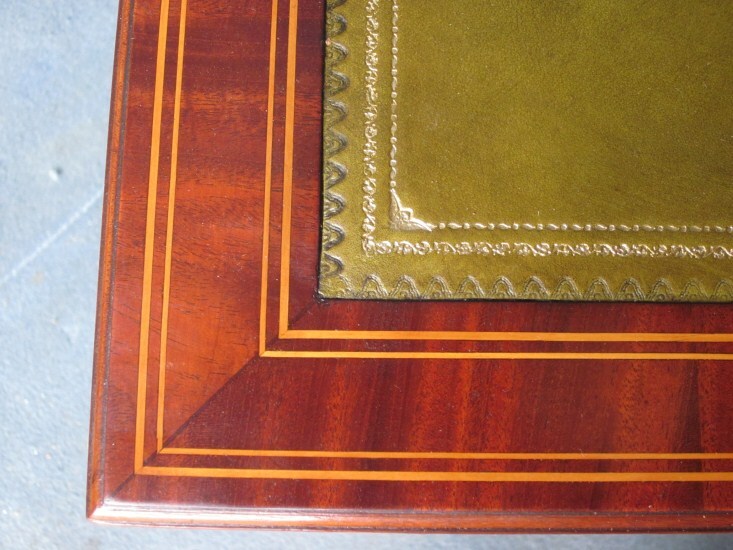 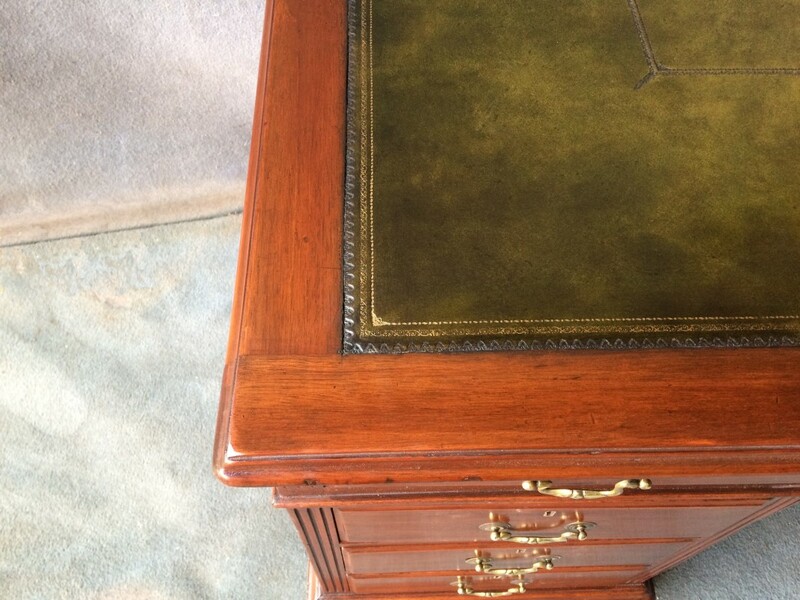 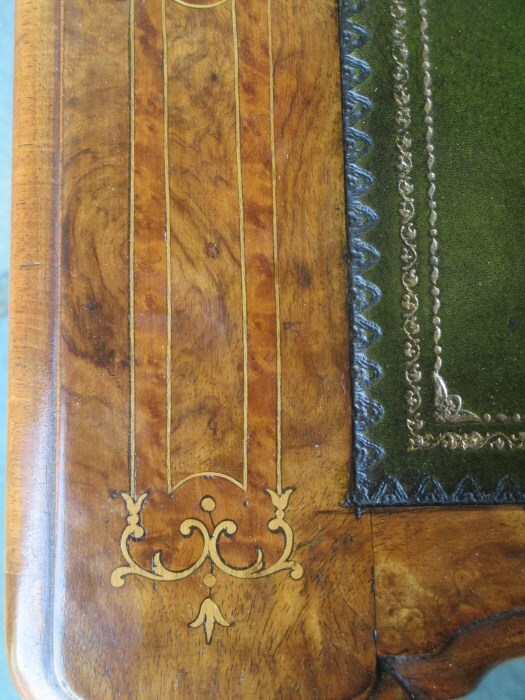 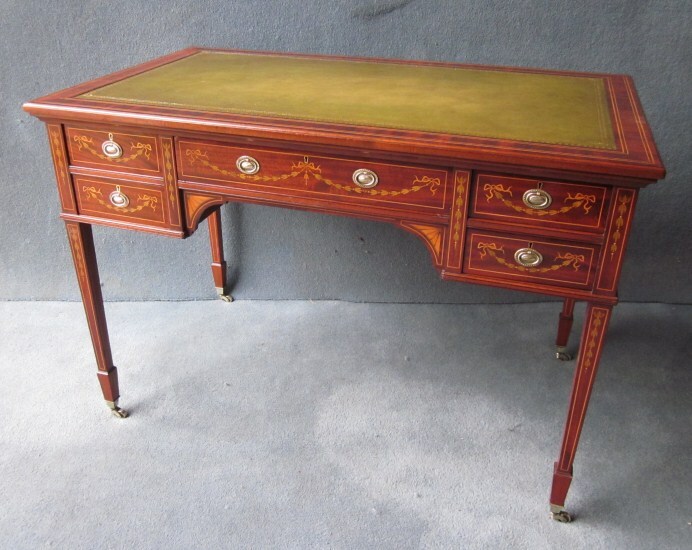 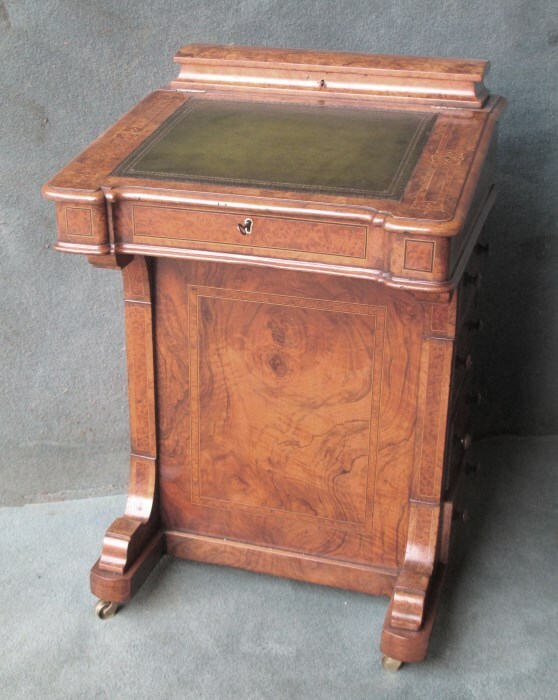 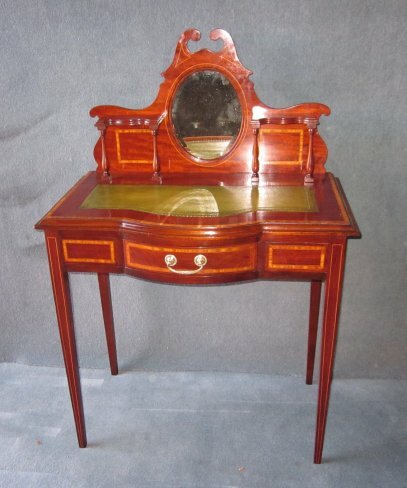 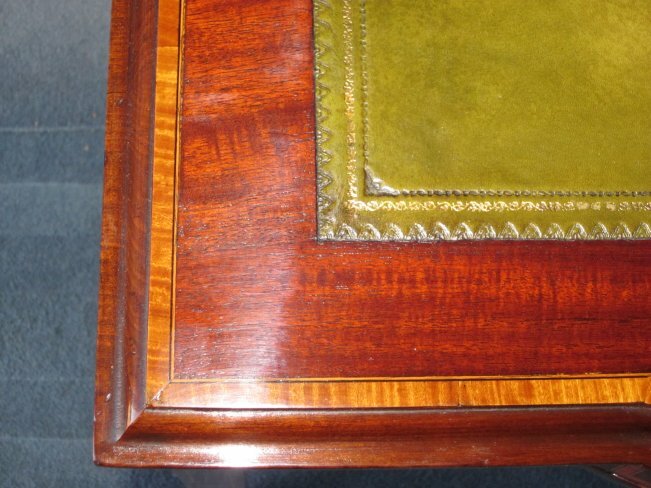 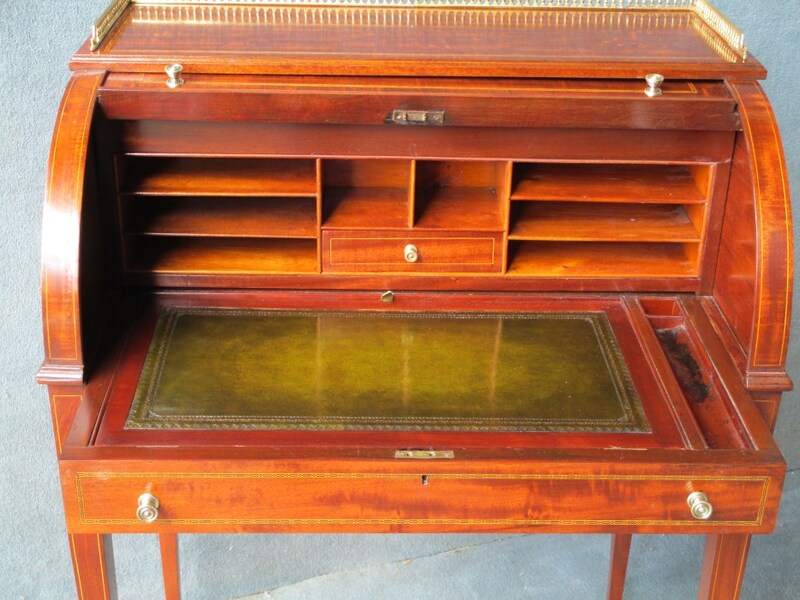 A super Victorian burr walnut and amboyna inlaid davenport desk with a green hide writing surface. 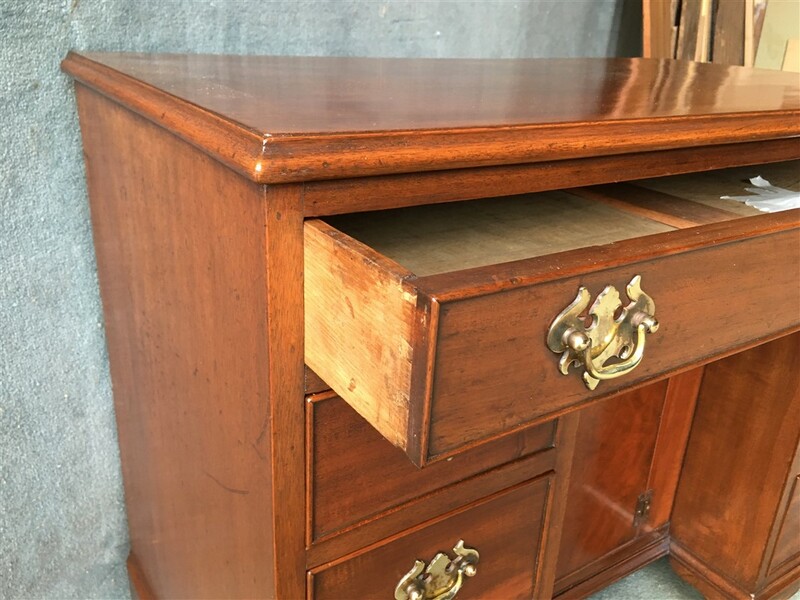 The right hand side of the desk has 4 drawers and to the left hand side there are 4 dummy drawers, all with face turned wooden knobs. 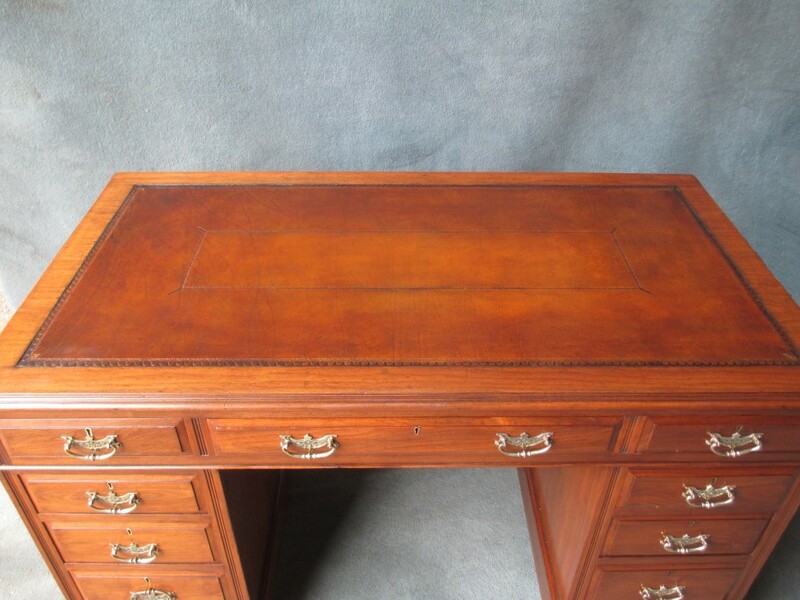 Behind the writing surface there is a lift up lid enclosing letter racks and a pen tray. 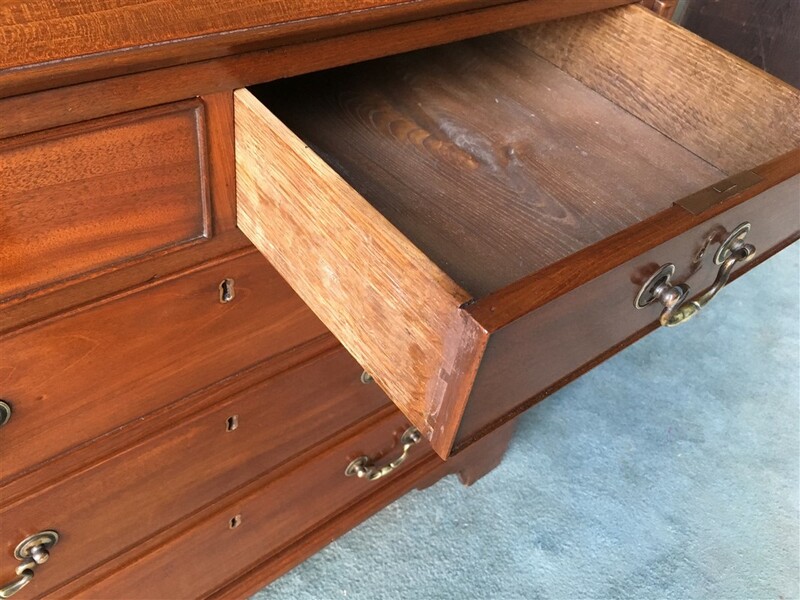 The interior has 2 small drawers in maple. The desk stands on a plinth with brass wheel castors. 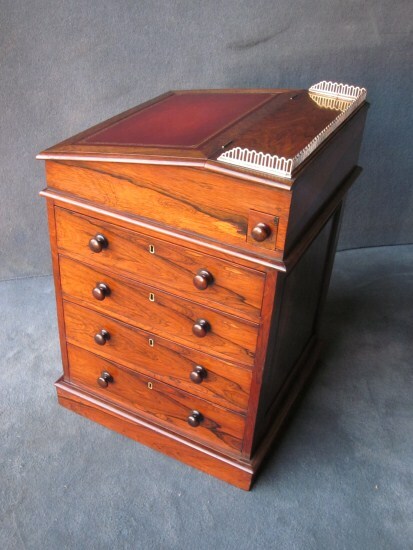 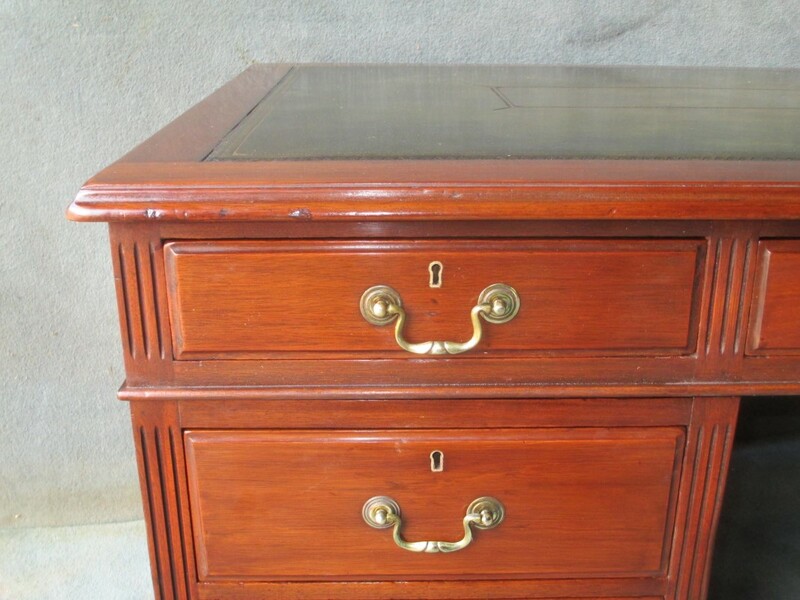 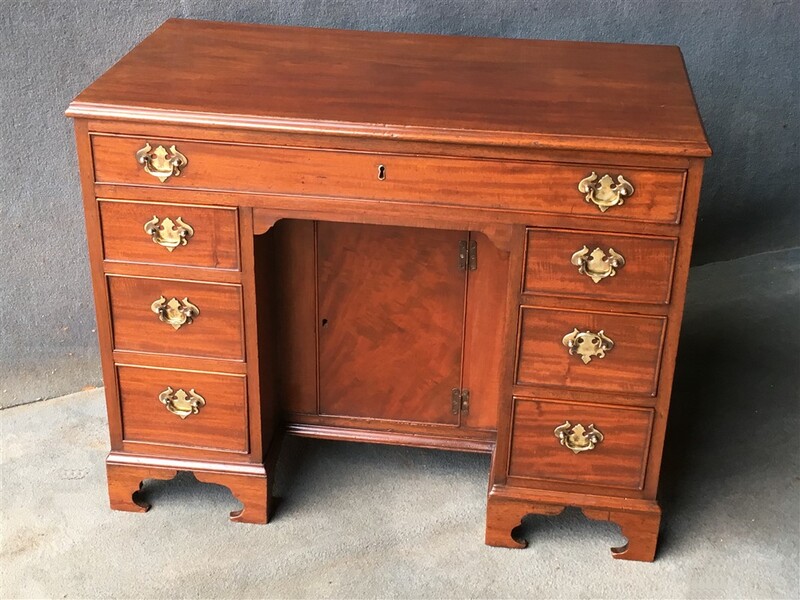 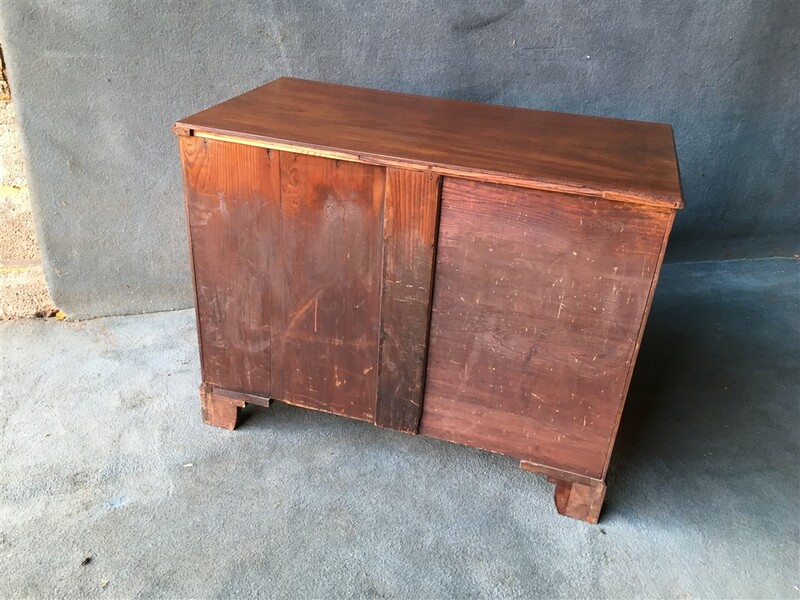 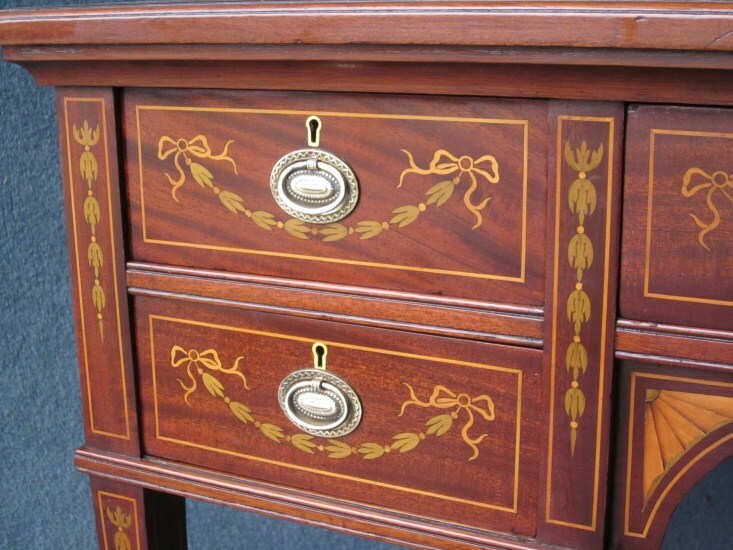 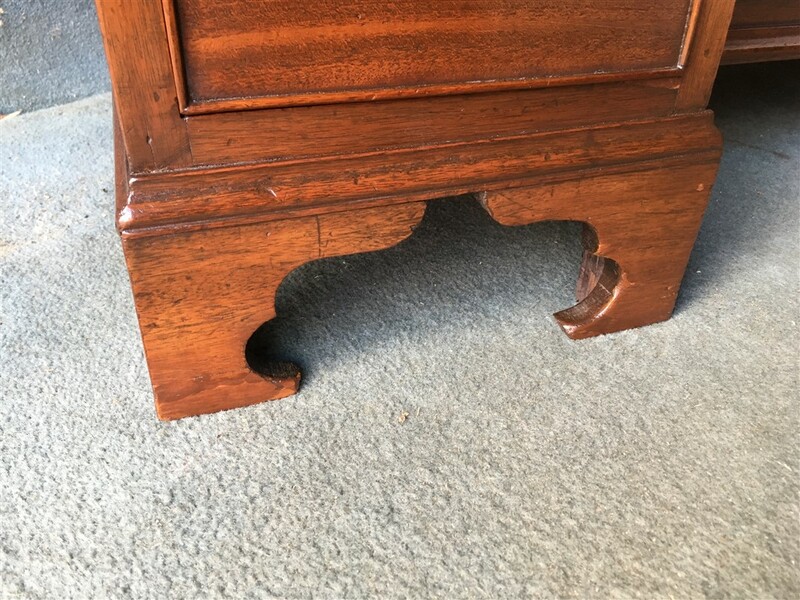 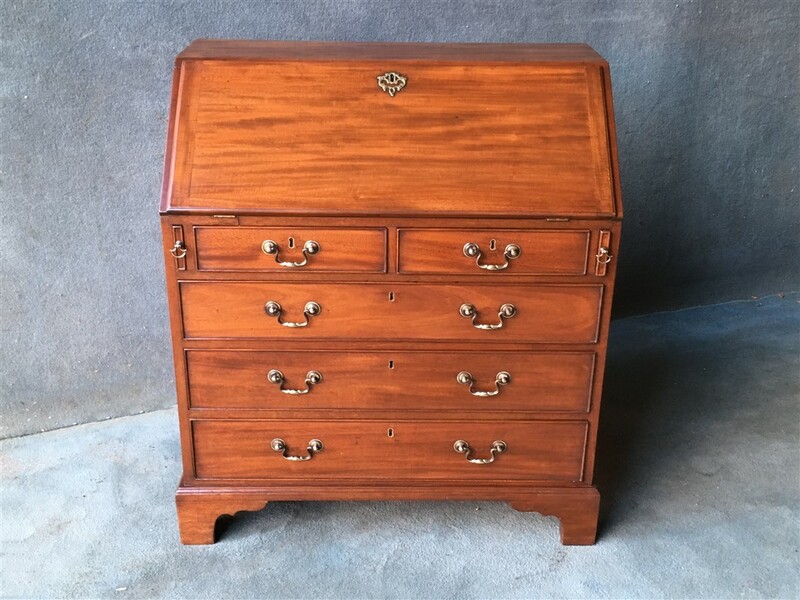 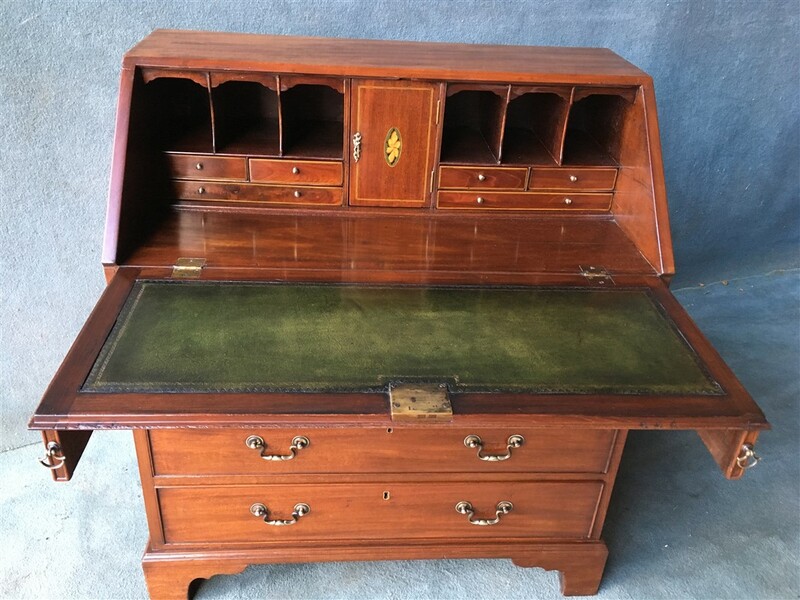 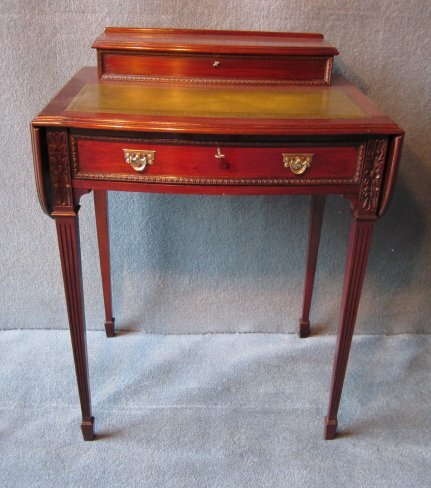 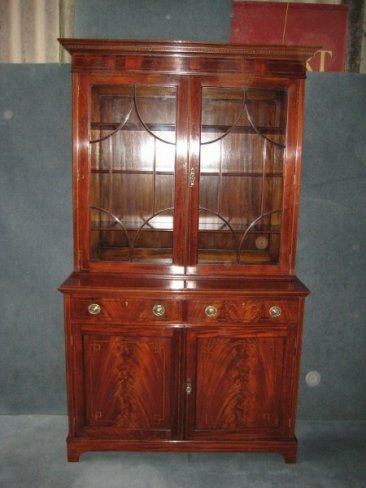 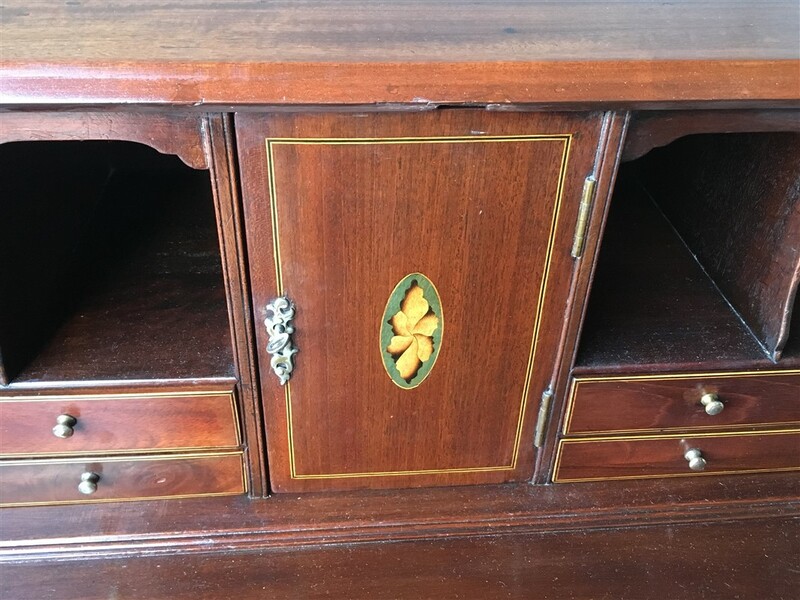 A lovely little mahogany bureau with 2 over 3 oak lined cockbeaded drawers beneath the writing fall. 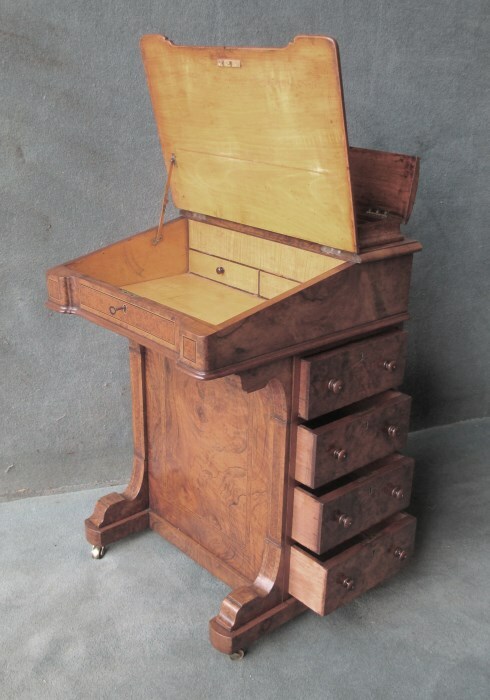 The interior has 6 small drawers with 6 pigeon holes topped with shaped frets, a centre cupboard and a green hide writing surface. 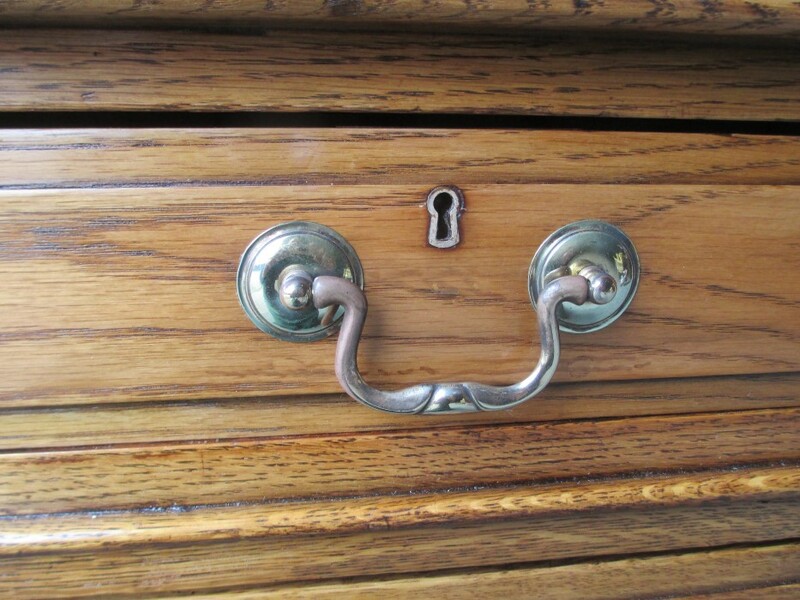 The bureau has later handles, original locks and stands on bracket feet. 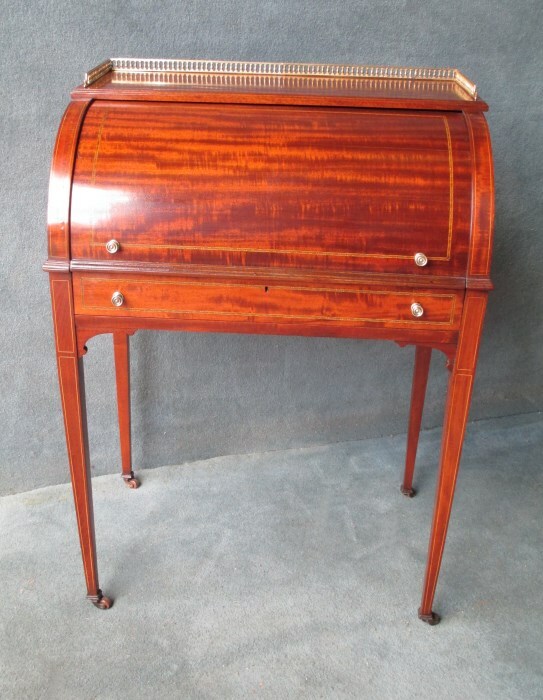 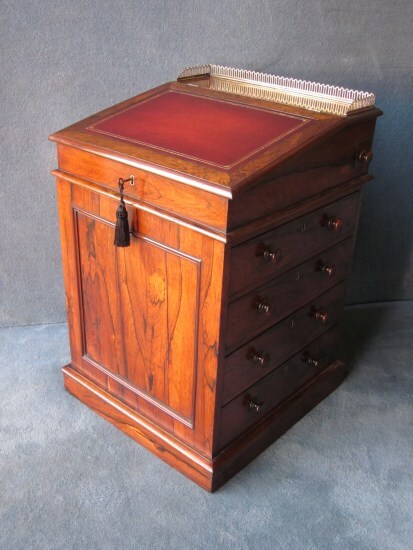 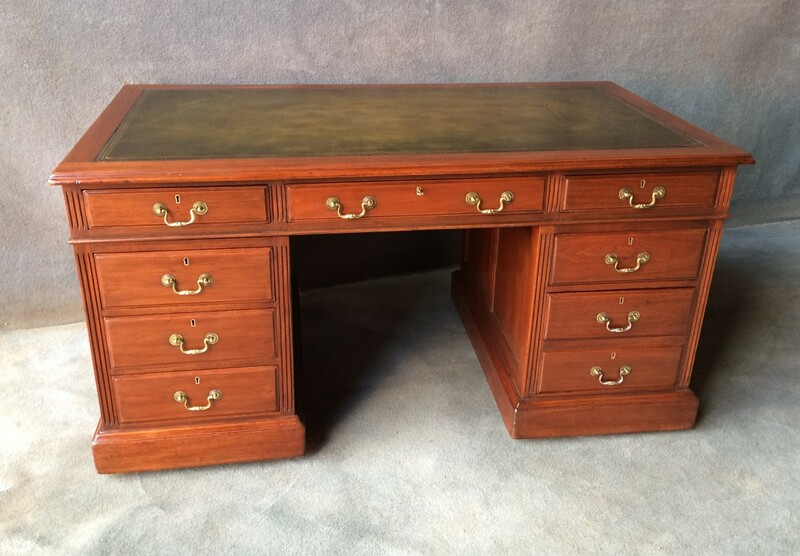 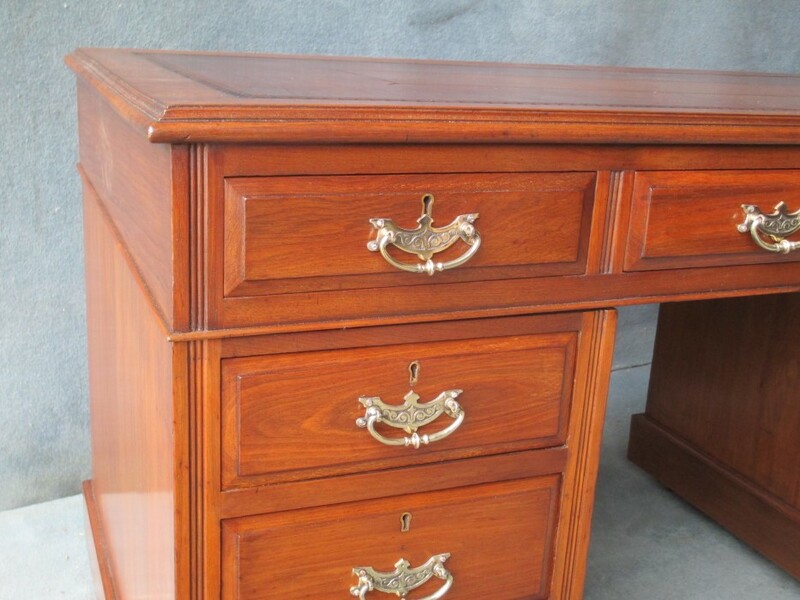 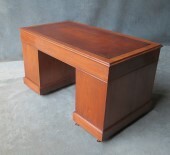 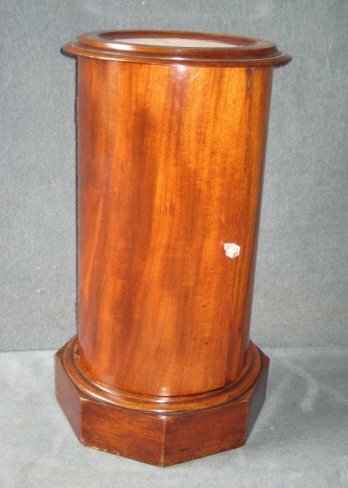 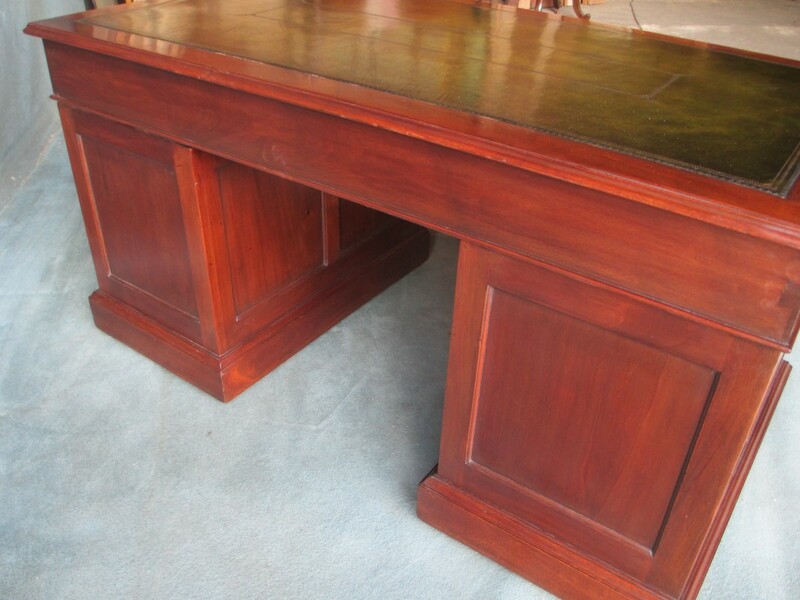 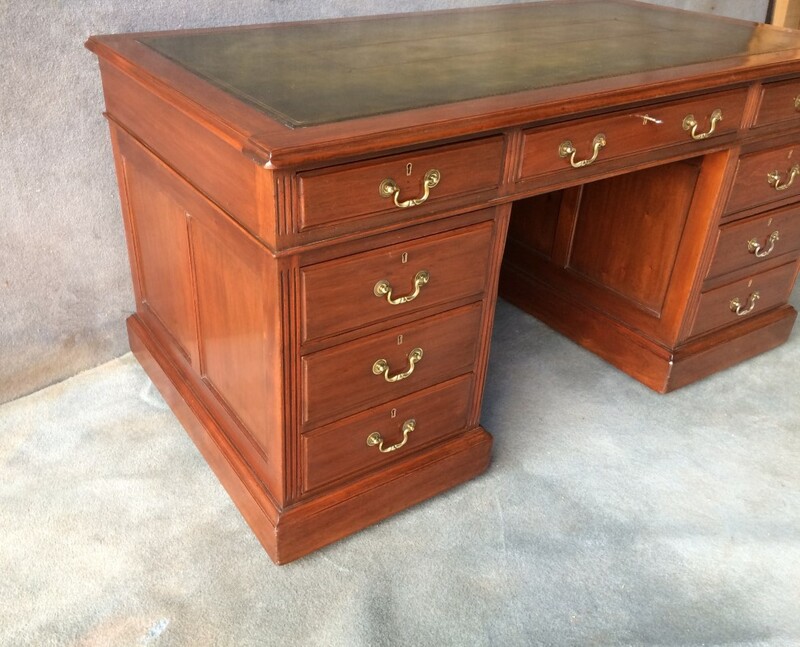 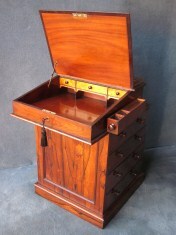 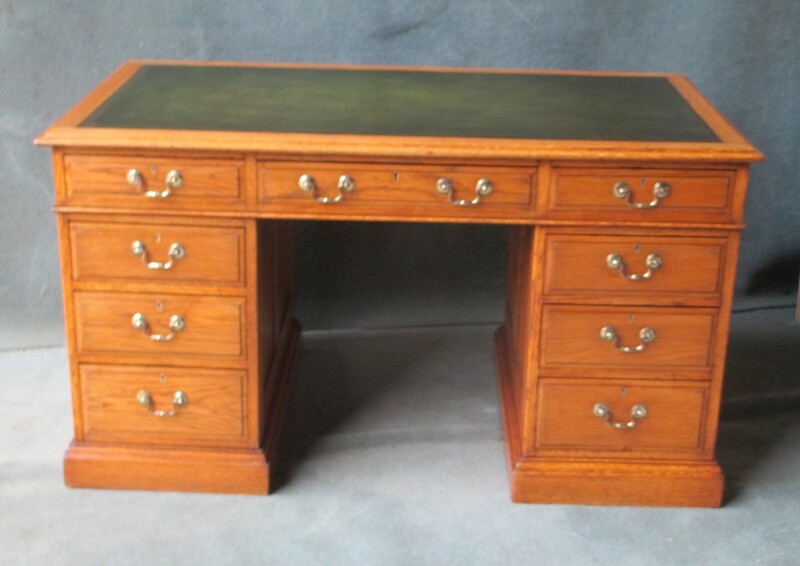 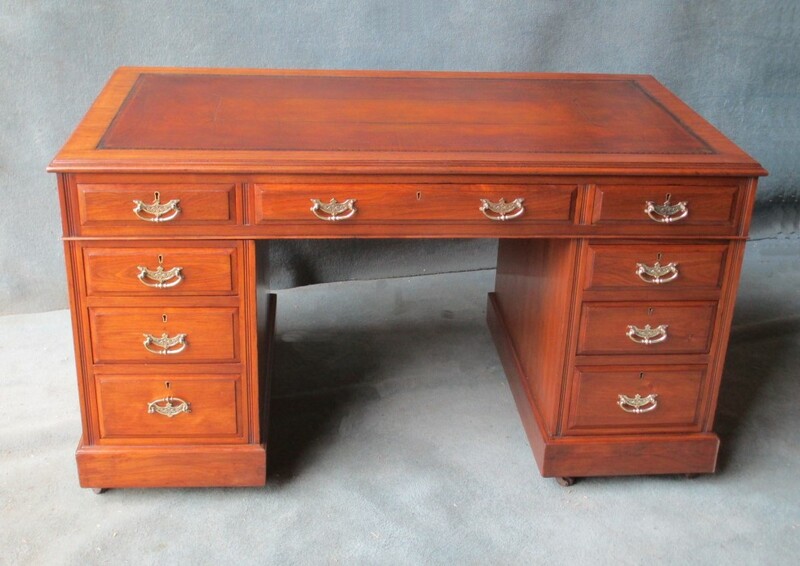 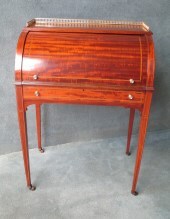 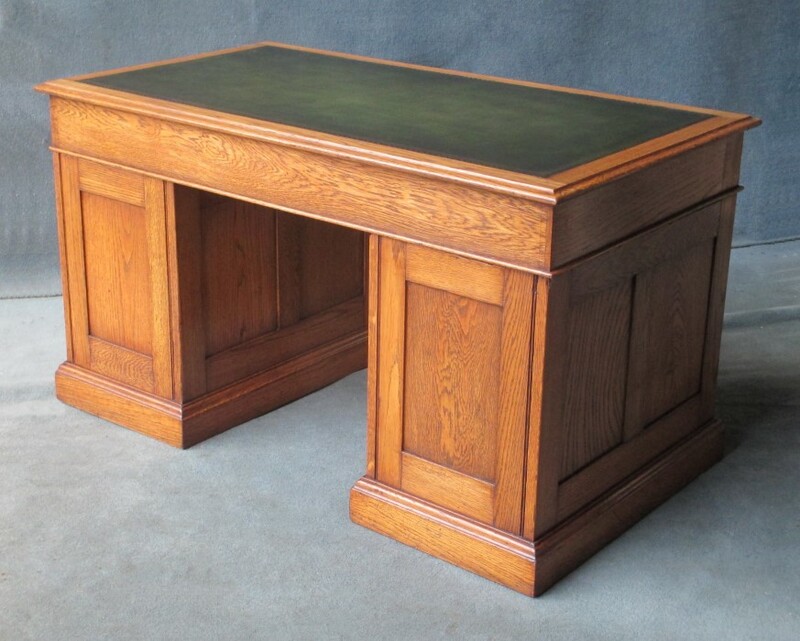 An super quality and very pretty cylinder top desk in mahogany with ebony and boxwood chequered banding. 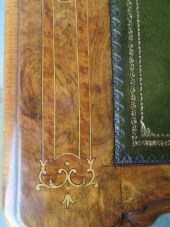 To the top there is a baluster type brass gallery. 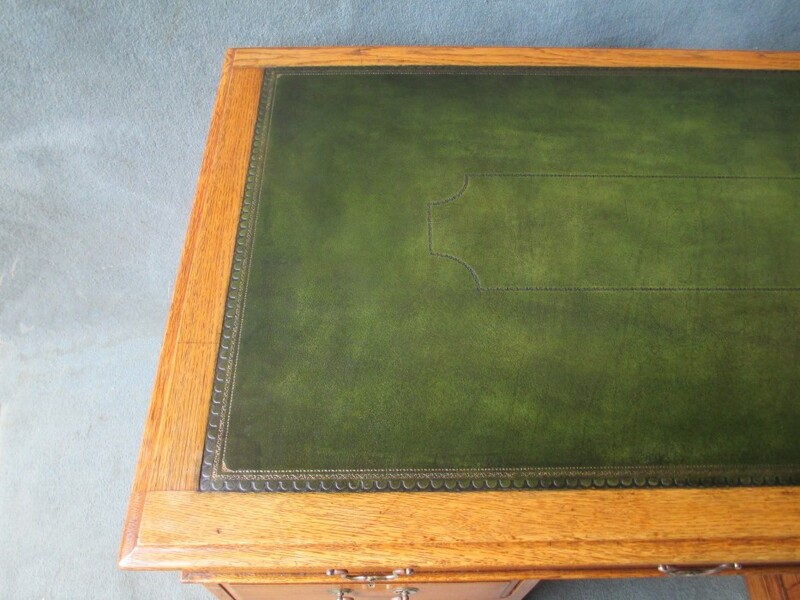 Opening up the cylinder top reveals a fitted interior and a pull out writing surface with a replacement hide. 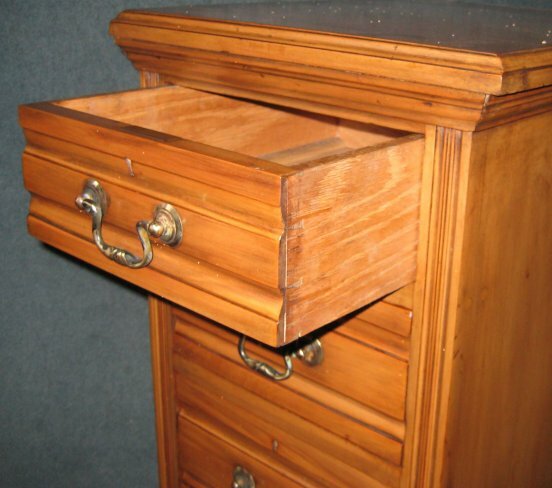 This lifts up to give extra storage. 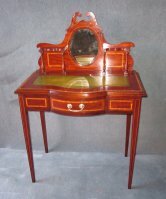 The whole desk stands on square tapered legs with boxwood line inlay and terminates with brown china wheel castors.